Whenever you see one pass you by, you’re overtaken with a sense of nostalgia. The art and craftsmanship of a classic car brings to mind the bygone days of working with your hands: the radio is tuned to your favorite station and you stop for a break, cooling off with a tall glass of tea in the shade of your front porch. Perhaps a neighbor stops by to admire your handiwork and pass the time. As you gaze upon the wide chrome bumpers, the flawless paint job, and the dice in the mirror, you feel grateful that other vintage vehicle enthusiasts took the time to create these helpful sites. How else would you have known where to find a replacement exhaust system and had the courage to rebuild it yourself? Here are some suggestions for sites with information on restoring your classic car. Gearhead Diva is a lady-driven site dedicated to creating realistic how-to guides that acknowledge the fact that sometimes screws strip and parts don’t fit. She’ll walk you through projects ranging from how to convert your home garage into a serious workspace to rebuilding a quadrajet carburetor. Plenty of these helpful DIY guides are available as videos, so you can really see the fix in action. If you’re not ready to delve into a project of your own, the site is still awfully entertaining, with profiles of famous cars like Kit and the General Lee, and vehicles that will survive the apocalypse. 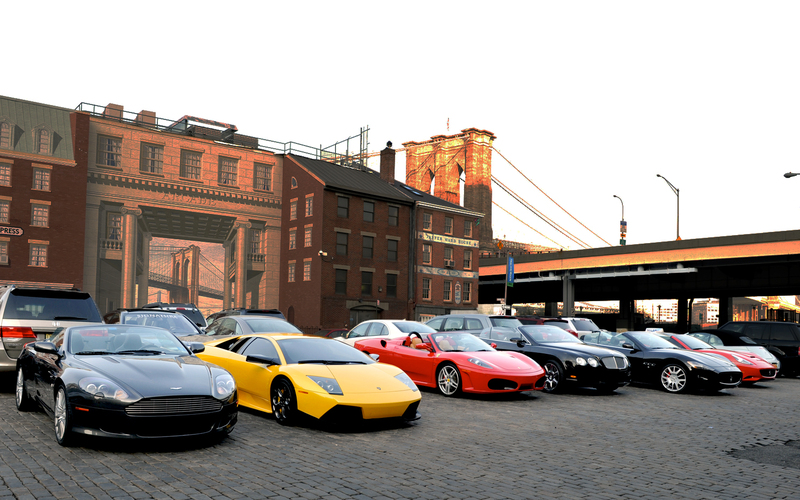 If you’re out and about at any of the auto shows, particularly in the Northeast, you might even run into the Diva Team. Check out pictures of recent events and check the calendar for upcoming shows. Classic Motorsports is the quintessential magazine for shade-tree mechanics and car enthusiasts alike. This is their website. Even if you aren’t a subscriber, you can access articles, participate in reader forums, and find auto clubs and shows in your area. Of course, if you have a classic car in your garage, you out to have a stack of these magazines on your coffee table. The vehicles profiled both in print and online are accompanied by short articles that address the various problems the staff of mechanics has run across during the restoration process and how they solved them. You can search the site for the exact make and model of your car and you’ll generally be rewarded with a whole slew of articles that detail everything from cosmetic to down and dirty reconstruction. The Jalopy Journal is the go to spot for traditional hotrods and custom cars. Articles range from purist restorations to Franken-cars built from bits and pieces. Each page ends on a bit of cheeky Americana, be it a vintage pinup gal, or a thoroughly impressed Stepford Wife. You can get up close and personal with the Folks of Interest, or read the history of your favorite classic. Under Motion Pictures, you might expect to see a list of films that feature beautiful cars and maybe some clips. Instead, you will find videos of guys and their classics: mostly at auto shows, but some vintage clips are featured, too. You won’t always find the most in-depth details about fixes here, but there are lovely images and articles that will leave you inspired enough to start working on your own heap. My Star Collector Car is the hall of fame for regular folks who pull off a great restoration, so take plenty of photos and videos of your process and you too could be featured on the site. The authors of the site are a couple of regular guys who truly love what were once just regular cars, and since they could never afford to pay top dollar for someone else to do a complete overhaul on a classic, they learned to do it themselves. Each profile celebrates the car as much as the owner, for each has personality. While there’s no shortage of hot Mustangs an Cadillacs here, you will also find profiles of a family who have converted a vintage Western Flyer Bus into a Motor Home; a 1974 Datsun truck held together by zip ties; and a regular feature called “Stars in Traffic” where photos of passing beauties are posted. The latter will surely be entertaining to anyone who has pulled over in haste to snap a cell-phone shot of a terrific vintage automobile. Bad Shoe Productions is a rather spare looking page, however, the site’s author and resident mechanic has a ton of advice to give on the various Frequently Asked Questions pages and the accompanying YouTube page. The videos are just great, and some of the projects he tackles include engine swapping and rebuilding a transmission. Dig in, though, there is very little time lapse here, so some tutorials are hours long. You can also buy the tutorials as DVDs or downloads from the site. 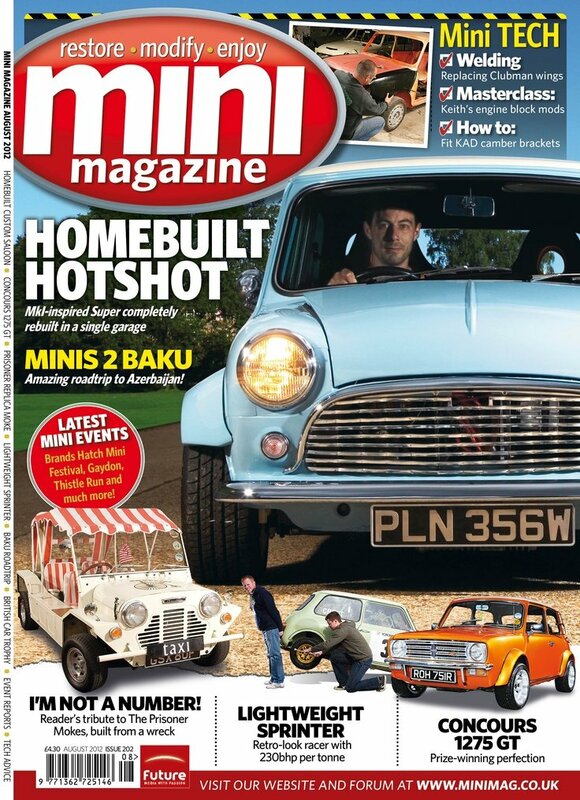 Mini Mag is big fun in a little package, fun for the vintage car lover who appreciates diminutive models, like Austin Healy and Cooper. This site doesn’t simply recognize the possibility of doing restoration and repairs yourself, it recommends it. You can check out a buying guide, or join in on forum discussions with other Mini maniacs. You can even buy parts and manuals here, but be warned: this is a British site, so having the parts shipped stateside might set you back a bit. If you just can’t get enough of the little guys, subscribe to the print magazine or their iPod and iPad app.